Lounge or Bar | Click on any image to view larger. 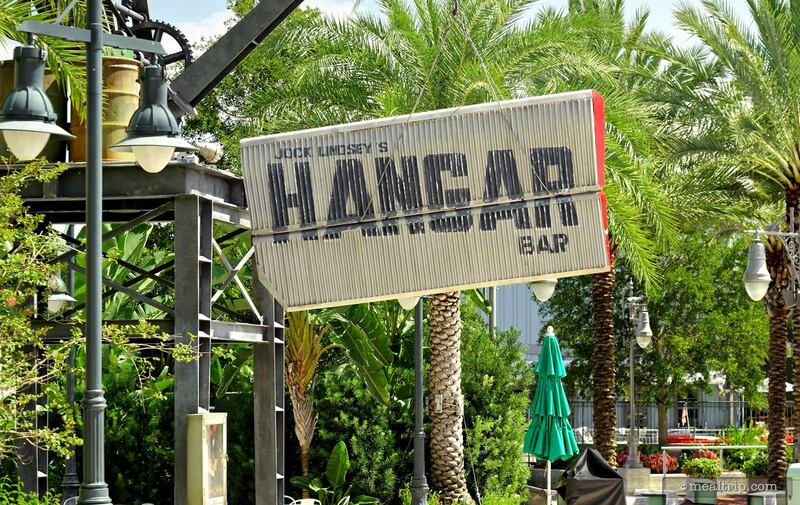 The Jock Lindsey's Hangar Bar listing is a Lounge or Bar dining location at Disney Springs featuring American, Wine, Beer, Spirits or Beverages, Small Plates and Tapas Style cuisine. There are 2 photos in the Mealtrip photo gallery for this location and dining period. 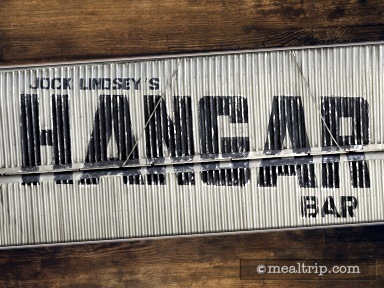 The Jock Lindsey's Hangar Bar listing currently has a score of out of 100. 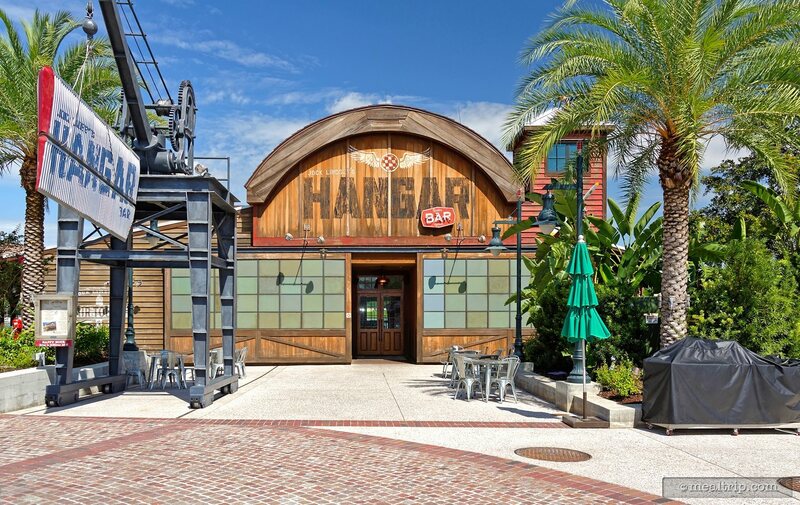 Click here to read all of the reviews for this location, or log in to Mealtrip.com to add your own review for Jock Lindsey's Hangar Bar. One of the stree-side signs for Jock Lindsey's Hangar Bar at Disney Springs. The main entrance for Jock Lindsey's Hangar Bar.